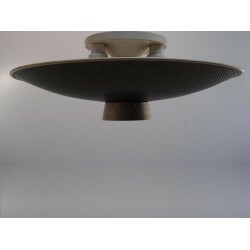 Industrial ceiling lamp, probably a design of Louis Kalff, about 1960 for Philips, The Netherlands. The black part of the lamp is perforated plastic. 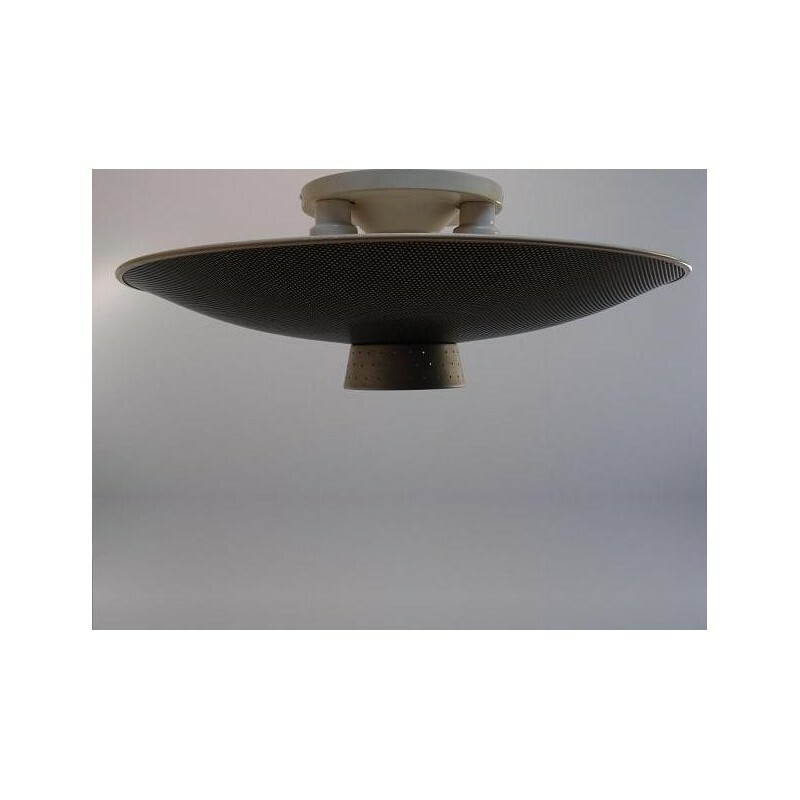 The ceiling lamp has a dia meter of 57 cm and is 20 cm high. The lamp is in a very good condition.